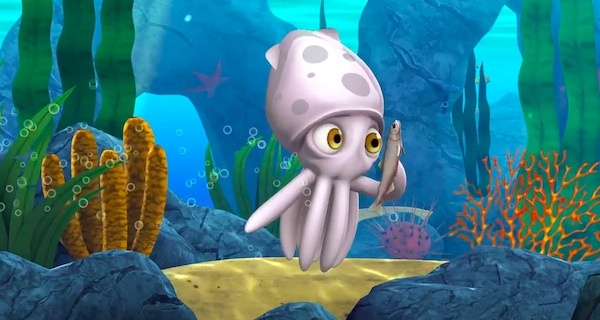 This adventurous, educational, and completely relaxing app has been brought to you by Alphie The Squid…. In my home, the iPad is king. My husband, my son, and I, all have our own iPads. My husband and son have the iPad Mini and I have the iPad 4. My son uses his a LOT. Needless to say, we are always on the lookout for good apps. We like educational and/or kid-friendly games for our son. So when I was asked to review the new app ‘Alphie The Squid’ I was on it like jam on toast. 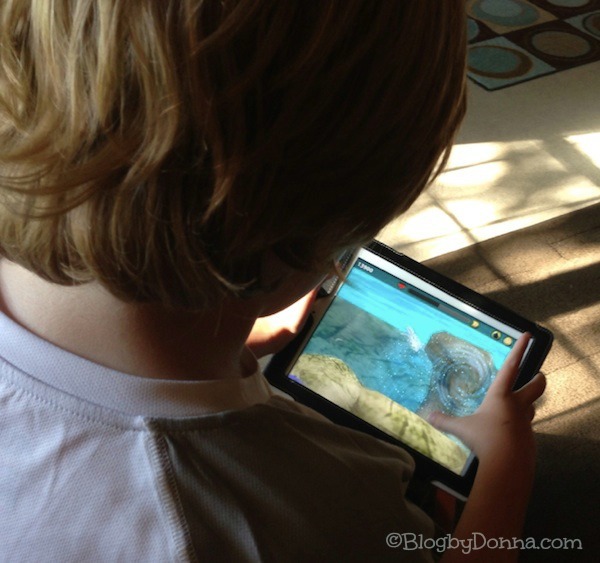 An app that’s both fun and educational is just a cherry on the top. Alphie The Squid is an ocean exploration game that follows the journey (or more accurately you take Alphie on a journey) of the adorable Alphie… a wide-eyed squid. You do have to be careful or Alphie will become fish food as you swim through the levels eating along the way to stay healthy and strong while discovering new ocean life along the way. Alphie has lost his mother and he needs you to help him survive. My son is enjoying playing ‘Alphie The Squid’, exploring the ocean and actually learning some things about squids and other oceanic creatures that he didn’t already know. Yay. Something I wasn’t expecting, was to find the game so relaxing. Yes, relaxing. From the beautiful imagery to the soothing music, ‘Alphie’ can take your stressed-filled day and breath a sense of calm into it. When you play Alphie The Squid, I highly recommend you have the sound on and up. So if you’re playing somewhere you don’t want to bother others, wear headphones. This app truly needs sound. Trust me! I do love that a wide range of ages would enjoy this app. My son is ten and he wasn’t bored with it, and as I said, even learned something. He says, “Young kids would like it, too.” Like he’s so old. It’s a slow-paced, educational, family game, that gets mine and my son’s seal of approval. And I bet you’ll fall in love with a little squid named Alphie. I know we did. 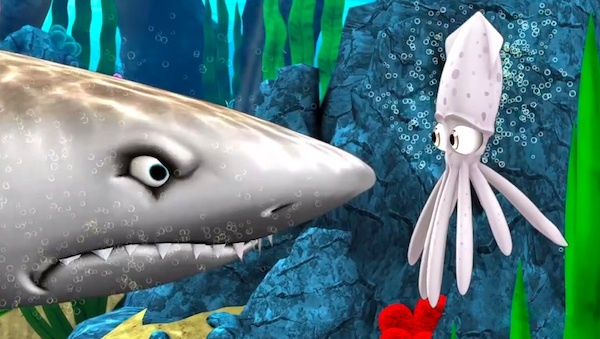 You can download Alphie The Squid from iTunes, Alphie The Squid from Google Play, or Alphie The Squid from Amazon. The game is $2.99 on iTunes and is free for on Googleplay and Amazon for the first four levels only, after which the rest of the game is available for $2.99. 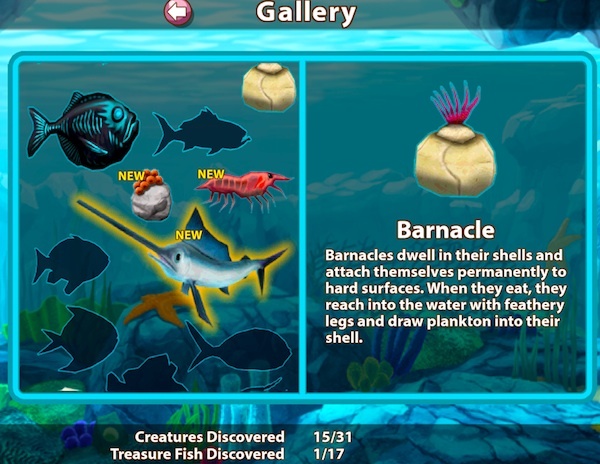 Visit AlphieTheSquid.com to learn more about the game. You can also like Alphie The Squid on Facebook, follow Alphie The Squid on Twitter, and follow Alphie on Google+. Win 1 of 10 FREE Codes to Play Alphie The Squid! You must be 18+ old to enter. Enter on the Rafflecopter form below. Good luck! Disclosure: This is a sponsored post. All opinions are 100% my own and may differ from yours. I will only endorse companies, products, and services that I believe, based on my own experiences, are worthy of endorsement. I’ve always been intrigued by dolphins. I’d love to swim with dolphins some day. 🙂 Looks like a great game! I have always really liked seals. They’re just so cute. This looks like something my kids would like to play! Right now my favorite ocean animal is the squid lol— that is the cutest cartoon I have seen in a while! I’ll have to download this. My kids would love it.